It started in 1998 with a trip to Myanmar, which changed Sue and Sahin Ozturk's lives. Touched by the plight of a boy, whose mother could not afford to feed him or send him to school, they decided to pay for his education along with two other children. Helped by friends and family, and the English Martyrs School in Hillmorton, Rugby, gradually more and more children were sponsored. In 2002 they decided to build a small school to teach English free to all, in memory of Sue's mother, Vera Thomson, who took a keen interest in the children of Lintha village, and was a great source of encouragement. Since then, Lintha has been a host to many volunteer teachers who come to teach English. Without exception, they have all said that it had been a life changing experience. As numbers grew, in 2003 they decided to carry out their activities under the banner of an officially registered charity. They realised that there was such a great need for basic education and healthcare, and named it The Andrew Clark Trust, after a dear friend Andrew Clark, who tragically died in July of that year. The charity was formed on 4th June 2004. In 2004 the trust shipped to Myanmar over 4,500 books donated from people in England, who wanted to help the people and children of Lintha. And so, the Andrew Clark Trust Friendship Library was set up with the help of the village headman and committee. It was a passion of Andrew's to travel and see the world, which was to include a trip to Myanmar to teach English at the school built by Sue and Sahin as he was hugely impressed by what they were doing to help people. 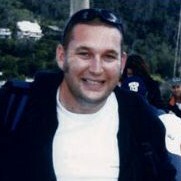 Tragically and unexpectedly Andrew lost his life on the 30th July 2003 at the age of 27. ​His family and close friends did not want the fond memories of Andrew, who had so many friends, to be wasted and were well aware of his desire to help Sue and Sahin with their project in Myanmar. And so it was decided to form the Andrew Clark Trust.